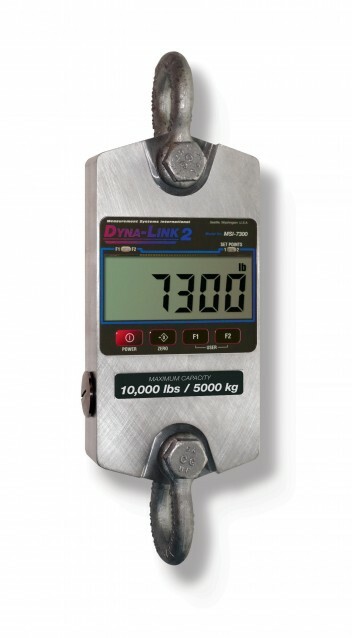 Industry’s most advanced digital tension dynamometer, the new and improved MSI-7300, provides even more features and benefits than earlier dynamometer Link 2 offers a lightweight, portable design for better handling, and superior viewing with its large 1.2 inch display. Choose from capacities ranging from 0.5 to 300 tons. The product offers reduced overall weight and headroom providing a great fit for low headroom, load monitoring, weighing and force measurement solutions applications. Such applications include tower erectors, utility companies, nuclear facilities and material handlers. 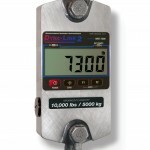 To allow easy viewing of the weight display optional hand held devices are available which can be either wired or wireless depending on the application. These also allow the control of all of the functions such as Zero, Tare, Unit selection and Peak hold depending on the model chosen.